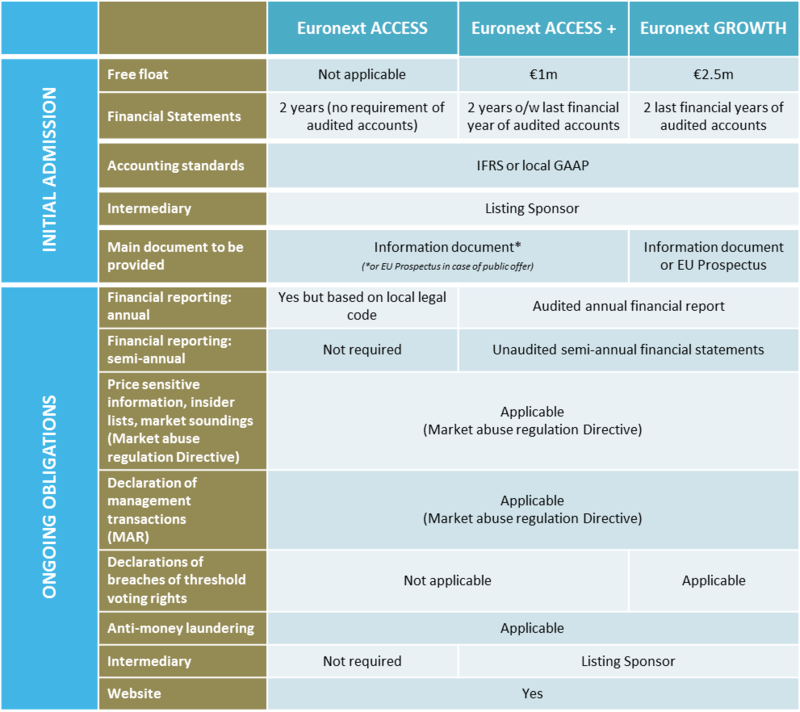 The Euronext Access markets - Brussels, Lisbon and Paris - have been established to target start-ups and SMEs that wish to join a stock exchange to finance their development and to benefit from the reputation bestowed on listed companies, but who do not meet the criteria for admission on Euronext’s regulated markets. Operated by their respective Euronext market operators, these multilateral trading facilities (MTFs) provide a channel for disseminating buy and sell orders, with trades executed by Euronext -Member firms. Because Euronext Access markets are not regulated markets under the EU Directive, the admission criteria are much simpler. Except for any relevant prospectus, the listing requirements for issuers on the Euronext Access markets are lighter as well. However, market abuse and transparency provisions apply in accordance with applicable laws.